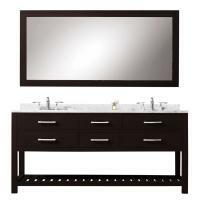 The open style of this double sink vanity base gives an airy feel to the space where it is installed. The pure white finish will make the area feel bright as well. 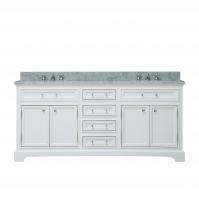 The simple design makes this piece the perfect fit for many different types of room dÈcor. It also has a modern touch with the bright chrome hardware pulls. 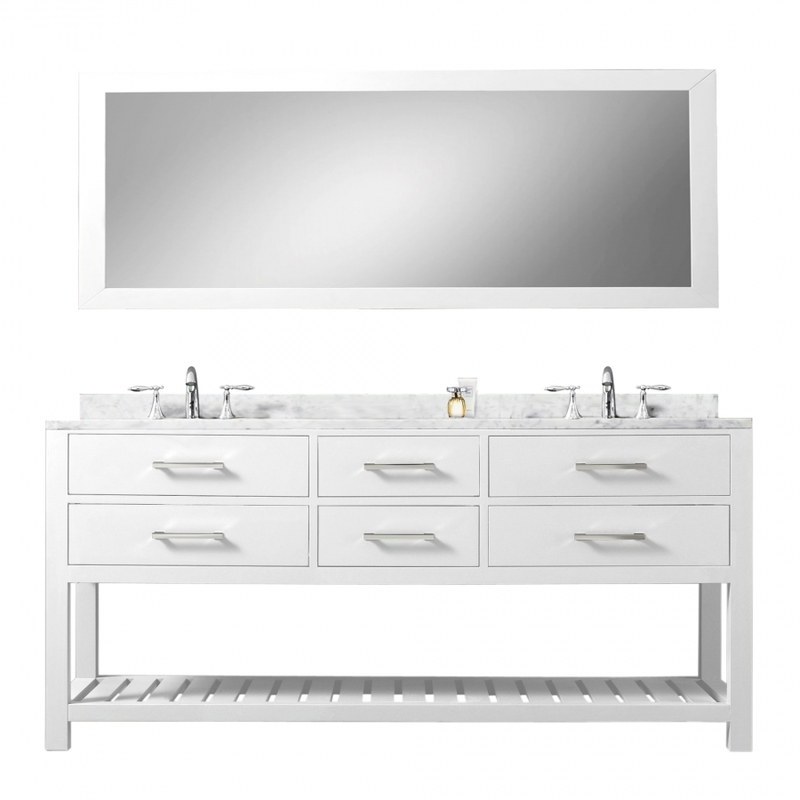 The white Carerra marble makes up the counter top surrounding the under mount ceramic sinks and adds its own natural beauty to the design. The four soft closing drawers provide ample space to store items neatly out of sight but yet near at hand for convenience. The open shelf at the bottom is the perfect spot for storing towels or as a place to display decorative items. Made with high quality materials and craftsmanship, this piece will bring style and functionality to the bathroom for many years to come.